What’s good: These leather boots took little time to break in and after the recent April showers they’ve proved to be fully waterproof thanks to the Gore-Tex lining. I like the simplicity of the design, with no fiddly fixings or fasteners - just a zip and some velcro. I’ve got quite solid calf muscles so my leathers don’t tuck into the boots very well but, having said that they fit perfectly under textile kit. What’s not: On an intensive weekend of riding, where I covered a few hundred miles on my then-new Yamaha Fazer8, I ended up with a scuffed and very tender big toe on my left foot. Initially I thought it might be because the gear change was a little stiff. Once home I went for a spin in a trusted old pair of Sidis. There was no soreness, which to me proved it was the lack of padding on the left foot of the boot causing the problem, not the bike. Instead of a gear change pad there’s a double layer of leather and it doesn’t offer enough protection. 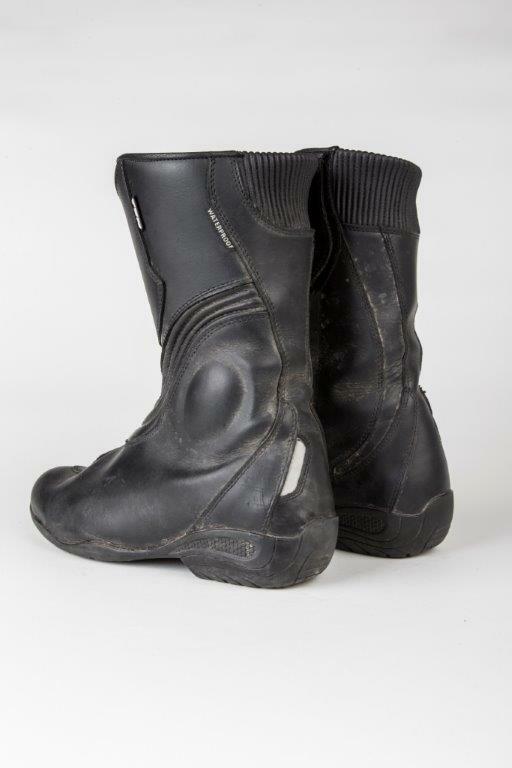 This boot would be great for pillions or scooter riders.